Hello! I’m Alison DeLuca, a writer and editor. I’m going to appear here on Girl Who Reads once a month, each second Wednesday, with thoughts on reading, books, and other things that make life magical. I want to discuss the topics you find interesting, so if you have a suggestion you can leave a message under a column post. Sometimes movies do a hack job on the novel upon which they are based. There are different reasons for this: a director forces his own vision onto the story in a way that simply doesn’t work, or the producer wants excitement, chase scenes, explosions at the sacrifice of plot and character. And to be honest, some books just don’t translate well on the screen. One example is The Great Gatsby, which is a lovely novel. The language is breathless and heartbreaking, both at once, and the images are vital, colorful and searing. However, I have yet to watch a really good rendition on screen. Lately I have seen some films do wonders with the plots of the originating story. An example is Wuthering Heights, now streaming on Netflix. The BBC took liberties with the story, adding physical love and writing out the narrator’s character; the result is a gorgeous film. Tom Hardy as Heathcliff has a lot to do with it – the actor brings the rather difficult story (three characters beginning with H is tough stuff for a reader!) to immediate life with his brooding, dark presence. The Hunger Games is another example. I liked the books, but I thought the film made the action incredibly compelling; I also loved watching the actors in their gorgeous costumes and sets. We just rented Catching Fire, and I’m pleased to say it’s as good as the first. Two disappointing movies for me as a dedicated Harry Potter fan was The Order of the Phoenix. Phoenix was my favorite of the series – Umbridge was so dreadful and the Weasely twins’ revenge on her so perfect – and I really looked forward to the film. Unfortunately, the director cut out a great deal of the story in order to make it a shorter film; I have no idea why. We’re Harry Potter fans and we sit for hours reading these books, so why try to truncate the story? To this day I don’t understand. The Road by Cormac McCarthy was a book I inhaled in great gasps. The story is horrific, and I know I’ll never read it again; however, the prose was like jagged shark teeth, tearing at me with pitiless beauty. Its filmed version is on Netflix (yes, I do stream a lot of films) and I really enjoyed it. Viggo Mortensen and Charlize Theron were incredible, and the boy they picked to play her son looks just like her. In fact, the actor was innocent, sad, happy at times – he was a delight to watch. 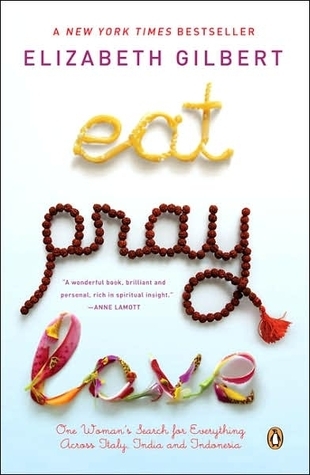 Eat Pray Love is one of my favorite books. The structure of little pieces to form a coherent whole made a beautiful reading experience. The film was quite different, portraying the book as a complete story. I wonder if it could have been broken up into chapters (as A Room With a View was in the 90’s) for a better result. Speaking of A Room With a View, yes it is on Netflix, and yes, I watched it again recently. It’s developed a retro feel over the years, but Ivory / Merchant captured the breathless swoon the young Lucy Honeychurch experiences as she confronts real passion for the first time. Of course, any movie with Daniel Day-Lewis, Julian Sands, Helena Bonham Carter and Maggie Smith is going to be amazing. However, if you do stream the film, don’t let it stop you from reading the book. E. M. Forster is very accessible, and I highly recommend the novel. Heck, read all of Forster while you’re at it – Howard’s End is amazing as well. The Color Purple was one of my favorite books in the 80’s. It’s really timeless, and the story just as compelling today. The film was quite a different experience, but extremely enjoyable – Whoopi Goldberg brought Celie to life wonderfully, and Oprah Winfrey’s turn as Sofia was incredible. Just don’t expect it to be like the book – or vice versa. The book is told through letters, and the ending is different. I loved the spare prose and comfortable ending (as well as Celie’s pants!) which didn’t translate to the film. Both, however, are still really well-done. The trend to drive novels to screen continues in 2014. Oz has come back in Dorothy’s Return, How to Train Your Dragon makes another splash with part 2, and The Maze Runner will arrive in October. As far as buzz goes, they are all eclipsed by The Fault in Our Stars. In fact, there is so much anticipation for this movie I’ll discuss TFiOS in length in next month’s column. Watch the official trailer from 20th Century Fox. I'm really excited to be here as a monthly feature on the blog. Thanks so much for making room for me, Donna! I have mixed feelings about movie adaptations of books. It's the nature of the beast to add/delete/change things to fit the different medium. I don't mind some of that, and it is nice to see the book played out on screen. But I don't like when they change events/characters to make them more appealing to the general audience (especially if they alter the characters in a negative way or make their motives shallow). I completely agree, Megan. In fact, it's one reason why I loved the BBC adaption of Wuthering Heights - they made the characters just as nasty and compelling and managed to create a manageable story for the screen.